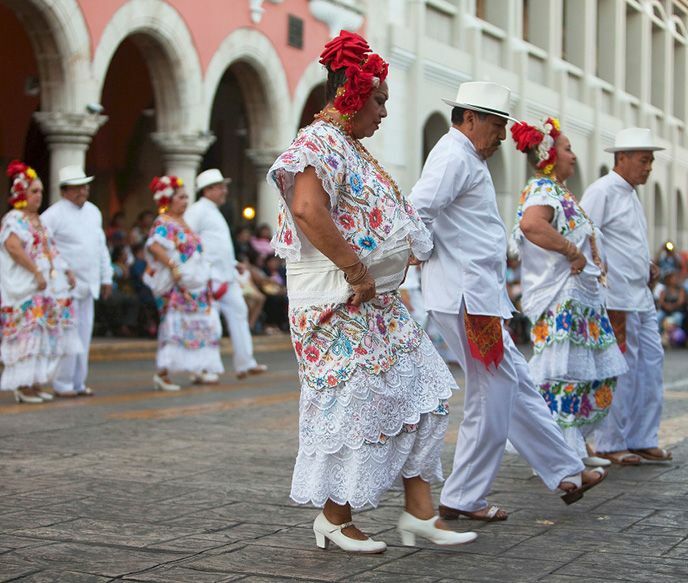 Wandering sunny Mérida on a recent visit, “I never ran out of discoveries,” said Margo Pfeiff in the Los Angeles Times. There’s almost too much to do in this genteel city of 777,000, the capital of Mexico’s Yucatán state and a place that feels at once cosmopolitan and small-town friendly. You’ll find excellent restaurants, shop-lined streets, bustling markets, the region’s best museums, and urban plazas and parks where families gather day and night. Mérida also makes a better base for exploring the Yucatán Peninsula’s scattered attractions than crowded Cancún or Playa del Carmen. Chichén Itzá and Uxmal both lie within two-hour drives, and the jaguars, pumas, monkeys, and flamingos of Calakmul Biosphere Reserve aren’t much farther. Though Mérida is landlocked, there are beaches just 40 minutes to the north. I had planned to wander widely myself but quickly decided not to. “Mérida is one of those cities where the best entertainment is zigzagging lazily through a maze of candy-colored colonial buildings, poking into small shops and chic galleries, peeking into peaceful courtyards.” Each morning, I strolled a different route “amid the tolling of church bells and the aroma of freshly squeezed oranges, toasting tortillas, and Chiapas coffee.” My lunches were often long and lazy. At the restaurant Manjar Blanco, I’d pick up a plate of cochinita pibil—slow-cooked pork marinated in sour orange and annatto—and then enjoy it in a shady plaza across the street. To escape the afternoon heat, I made my way through the city’s museums and historic palacios, where admission was always free. At Casa Lecanda Boutique Hotel (casa​lecanda.com), doubles start at $245.